Trying to achieve the perfect bottle cut is harder than I imagined. I was more then ready to throw in the towel. Actually it would have been followed by the kitchen sink and this goofy $20.00 bottle cutting contraption that claimed to be something more then what it had been living up to. 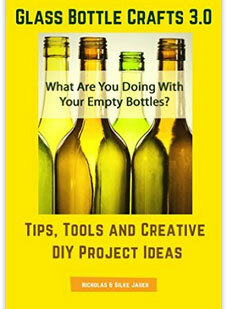 It was a simple idea… cutting a glass bottle that would open up doors of opportunity for the end result. Whether it was wind chimes, votive candles, drinking glasses or even potting containers, it was all waiting to be explored if you could get past the first hurdle. Cutting the glass. After watching numerous videos about it I walked away with the understanding that through the process of hot and cold the glass will separate on a set score line. Heat varied from a blow torch to boiling water. Cold varied from ice water to a running faucet. The hot first then followed up with the cold. You want to go over the entire score line with both hot and cold. So through heavy rotation you are constantly exposing the area with both. You may have to repeat this process to get the separation to take place. The key to getting the desired cut is the score. The G2 does not work well as it uses a standard $3 glass cutting wheel designed for flat glass. It does not score properly for cylindrical shapes making separation very difficult to impossible. The wheel we use is a $23 carbide engineered cutting edge designed specifically for cylindrical cutting. It also lasts well over 1000 scores. The cost difference is the wheel. This isn’t the response I was looking for but it was the only thing that I had heard back from the company. Letting my initial shock subside I set out to purchase a replacement glass cutter. The contraption would still be set up to do what it was designed to do only it would now have some ‘after market’ accessory. 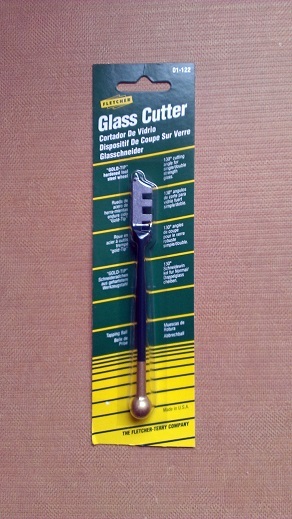 The glass cutter from the store was designed the same way as the original that had come with the bottle cutting device. This was helpful because I wouldn’t have to make any changes to the holder other then simply replace the glass cutter. With my new glass cutter installed I was eager once again to try and get this to work. Having the bottle on a flat surface as you rotate it around to make the score is essential. 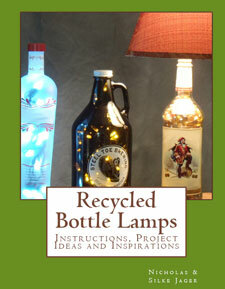 Give yourself plenty of room to maneuver around the bottle with the device. A little bit of success was all I needed to renew my opinion of the Generation Green (g2) Bottle Cutter. Sure the glass cutter that was sent with the contraption was sub par but the premise of the device was there and it was workable. The conclusion of my review on the Generation Green (g2) Bottle Cutter. I would quite simply take the glass cutter that comes in the box and throw it away. 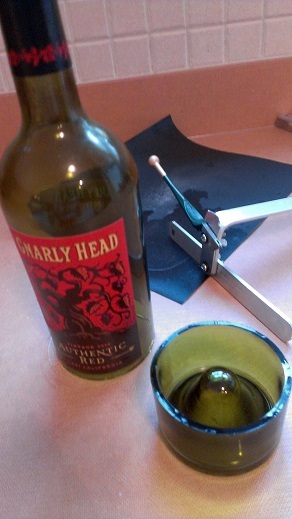 If you can avoid that headache then you’ll walk away from the whole experience with a finished product, an almost perfectly cut glass bottle, and a sunny disposition as well! 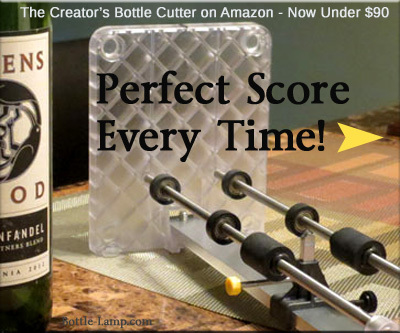 Have you tried the G2 bottle cutter? What do you think? Leave us a comment below. I also have the G2 with the same frustration. 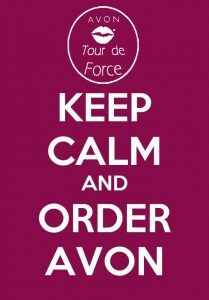 Good to know what I need to do. I lay the G2 horizontal and score the bottle. I can exert more pressure and my score looks good. (You keep yours vertical.) Don’t know if that really makes any difference, tho. Silke suggested setting the G2 on its side and I tried it but couldn’t get it to work. The bottle wanted to slide away from it. I’m a lefty, not sure if that has anything to do with it. I’m currently looking into buying a wet cutter (a power saw with a blade that cuts glass and tile). Thank you for leaving a comment, we appreciate your feedback.